Photo byLiz Ligon via Mile Long Opera. 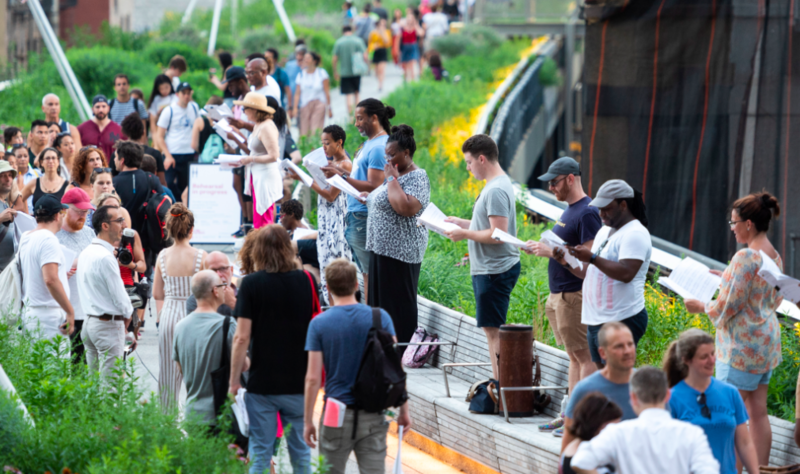 For five consecutive nights from October 3-7, 2018 “The Mile-Long Opera: a biography of 7 o’clock,” will bring together 1,000 singers from across New York for free performances on the High Line. The project is a collaboration between architects Diller Scofidio + Renfro and Pulitzer Prize-winning composer David Lang, with words and lyrics by acclaimed poets Anne Carson and Claudia Rankine. 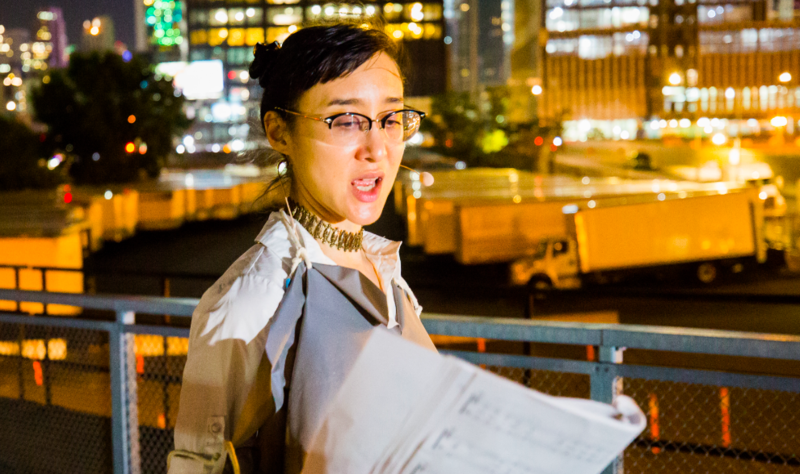 The free collective choral work shares personal stories, gathered through first-hand interviews with hundreds of New Yorkers about city life. Photo by Liz Ligon via Mile Long Opera. City residents were asked what 7:00 P.M. means to them, and the result was a wide spectrum of emotions and perspectives that represent the diverse character of the city’s inhabitants. Audiences will move through groups of singers as they walk along the High Line. On the day of each performance the High Line will close early for general visitors so registered ticket holders can experience the performance at set reservation times. Non-profit cultural organizations across the city’s five boroughs are participating in the project, which will welcome the public for open rehearsals and workshops and host social and cultural events in the lead-up to the October performances. All performances are free, but will require advance tickets which will become available on September 5th, 2018. Find out more about the performances and related events here.